Meet the staff of Elison Dental Center! From an early age, Amy wanted to work in the medical profession but in a field that would allow her to focus on her role as a mom. In high school, she was able to observe the work of a dentist. That experience helped her decide to pursue her career in dentistry. Amy graduated from ISU with her bachelors in dental hygiene in 2003. 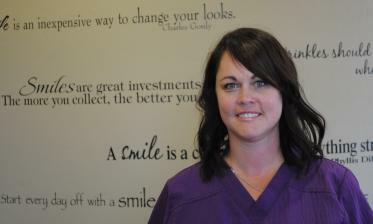 After moving to the Idaho Falls area, Amy joined Elison Dental Center in July of 2012. Since that time she has enjoyed working with patients and educating them regarding oral health and its connection to their overall health. 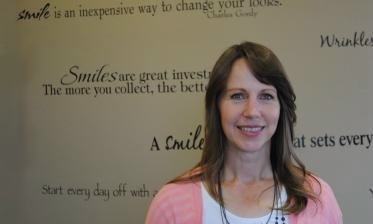 Amy is enthusiastic about her work and emphasizes that Dr. Elison and staff make a great team! Hallie grew up in Dubois, Idaho with her older sister and a younger brother and sister who are twins. Hallie was an active competitor of volleyball and basketball which she attributes to the development of her hard work ethic. Before entering the dental hygiene program, Hallie returned to her high school and worked as a Special Education Aide. She relished the impact she could make on the people with special needs. 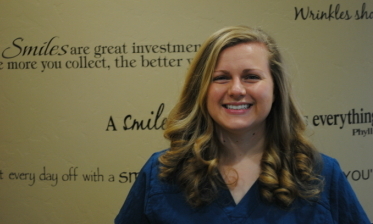 After graduating from the dental hygiene program at Carrington College located in Boise, Idaho, she entered the work force and joined Elison Dental Center in June of 2017. 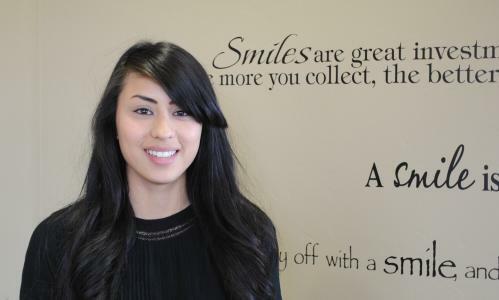 She loves working at Elison Dental Center where she can meet new people and work in a friendly work environment with exceptional staff and dentist! Ruth studied at Everest College in Los Angeles, California, to become a dental assistant. She has been a dental assistant for over 5 years and loves her job. Ruth moved to Idaho Falls in 2011 and delights in the Eastern Idaho lifestyle. 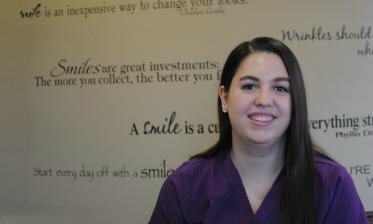 Ruth enjoys working with people and helping them feel good about their smile. She loves working with Dr. Elison and the great staff at Elison Dental Center. One of her favorite things about working with Dr. Elison is the continual focus on providing a family friendly environment. She thinks is it wonderful to be able to treat entire families. 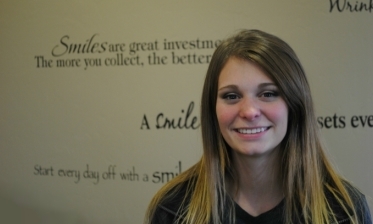 Lexie joined Elison Dental Center in March of 2017 as a dental assistant. In December of 2016, she receive her Dental Assistant Certification after graduating from Bridgerland Applied Technology College in Logan, Utah. Lexie and her husband met in Poland even though they are both from Idaho. They both learned the Polish language and continue to speak it from time to time. Lexie and her husband enjoy learning, reading and spending time with each other and their extended family. 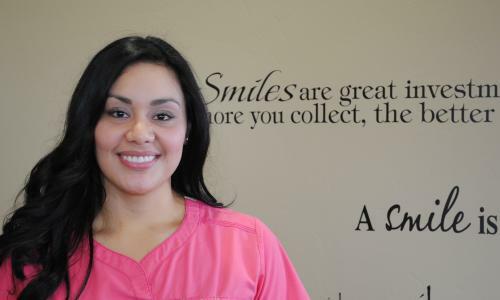 One of the main reasons that she enjoys working at Elison Dental Center is her love and care for the patients that she is able to meet and help with their dental care. Rebecca graduated from Bell Gardens High School located in Bell Gardens California. After high school, she worked a variety of jobs and then began working in the insurance industry earning her license in property and casualty Insurance. After moving from California with her family, Rebecca began working for Dr. Elison in April of 2016. Rebecca works the front office where she enjoys the interaction with patients each day. She enjoys working at Dr. Elison�s office because of the friendly environment in which to work. Rebecca loves spending time with her family, especially in the outdoors. Rebecca is very talented musically and she enjoys playing the guitar, piano and saxophone. After graduating from high school, Koreen studied office management at both Salt Lake Community College and LDS Business College. In her career she has worked for a few medical offices performing various administrative duties but most recently, she worked at Firth School District. Throughout her career, her priority has always been her family. Koreen is married and has three children and loves spending time with them. Some of her favorite family activities include camping and kayaking and when time allows, she can be found doing crafts with, and baking for her family. Koreen joined the Elison Dental Center team in August of 2017 and enjoys working with the entire team. She loves the atmosphere at Elison Dental Center where everyone is so kind and helpful and enjoys getting to know the patients. © Copyright 2017 Elison Dental. All Rights Reserved.